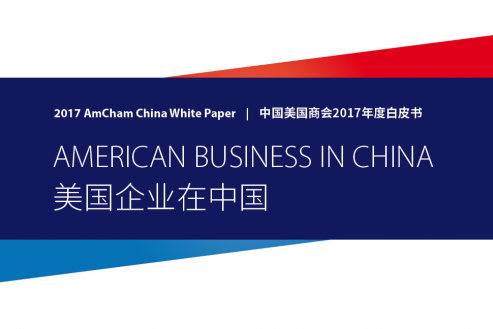 Despite the clear benefits of foreign direct investment, access to China's markets remains relatively restricted, and many of the deals that bring Chinese investment into the US could not happen in reverse, the American Chamber of Commerce in China said in its newly released 2017 American Business in China White Paper today. With uncertainty stemming from political and economic transitions in both the US and China, perceptions of a deteriorating investment environment for foreign companies in China, and a slowing economy, 2017 will likely be one of the most challenging years in decades for US companies in China, it said. 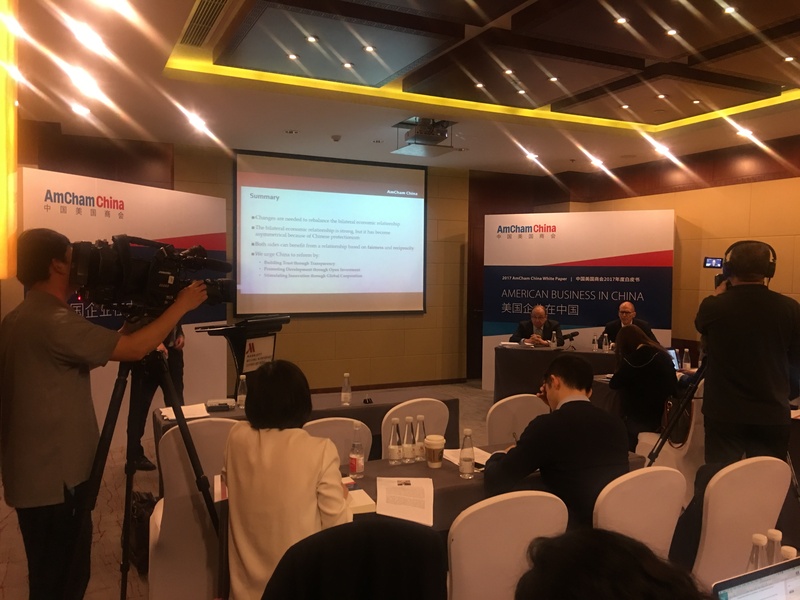 "We are experiencing a clear increase in uncertainty as the US-China relationship enters a new era, and multinational companies spanning this relationship, both American and Chinese, are paying close attention to developments as they make their plans," said William Zarit, Chairman of the American Chamber of Commerce in China. "Nevertheless, it is becoming apparent that many things need to change in the bilateral relationship. We hope that the recent meeting between the presidents of the two countries will mark the start of tangible progress toward a healthier, more balanced relationship." - Continue progress in providing 30-day notice and comment periods for all draft laws and regulations across the board, as specified in multiple commitments. - End the use of "window guidance" and release public directives instead. - Improve comprehensiveness in the online publishing of all court cases within seven working days of a ruling as required by 2016 regulations. - Improve transparency by releasing formal findings and case histories of anti-monopoly related investigations. - Clarify customs and tax regulations so that foreign companies can fully comply and make more informed investment decisions. - Provide written explanations whenever administrative agencies deny or provide conditional approvals for license applications or other approval applications, and adhere to decision deadlines specified in laws and regulations. - Implement market opening in more sectors to achieve a more balanced investment relationship. In sectors in which Chinese businesses can invest in the US, American companies should be able to do so in China. - Ensure that national security reviews and "secure and controllable" technology requirements are narrowly applied and are not used for economic protectionism or to implement industrial policy. - Actively work with the US to negotiate a robust US-China BIT with a short negative list, narrowly crafted exceptions, and text that ensures the full benefits of the treaty can be effectively reached within China's unique market. - Make bold reforms in FTZs and accelerate their implementation nationwide. 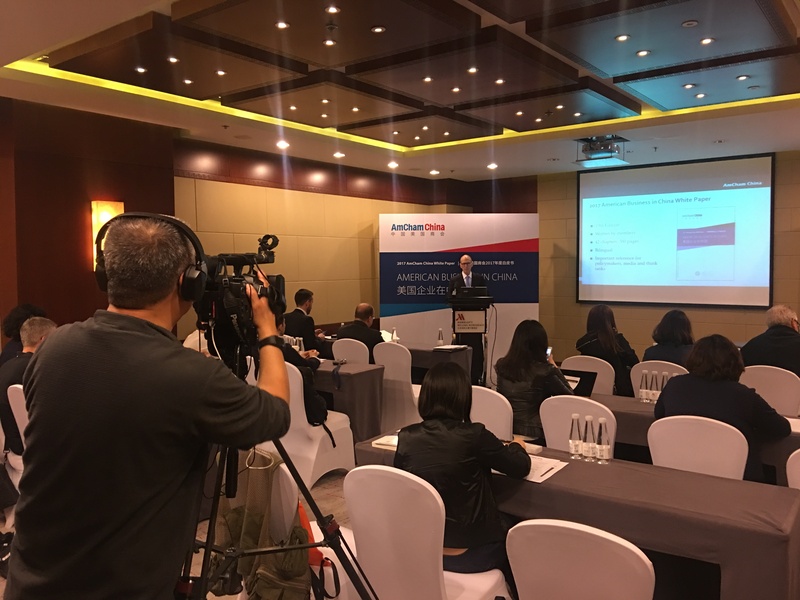 - Ensure equal participation for foreign and domestic firms in the "Made in China 2025" initiative and curtail subsidies. - Enact a comprehensive trade secrets law. - Continue the successful development of intellectual property courts and limit administrative enforcement in patent disputes. - Open all standards development organizations to FIEs so that they can participate on an equal basis with domestic companies. - Promote the Internet as a platform for global interaction and limit restrictions on cross-border data flows to encourage international collaboration and innovation.